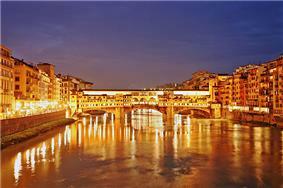 Florence ( ; Italian: Firenze ) is the capital city of the Italian region of Tuscany and of the province of Florence. It is the most populous city in Tuscany, with approximately 382,000 inhabitants, expanding to over 1,520,000 in the metropolitan area. Florence is an important city in Italian fashion, being ranked in the top 51 fashion capitals of the world; furthermore, it is a major national economic centre, as a tourist and industrial hub. 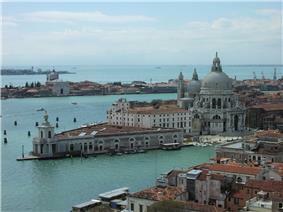 In 2008, the city had the 17th highest average income in Italy. 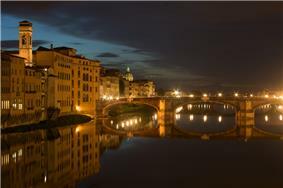 Florence was established by Lucius Cornelius Sulla in 80 BC as a settlement for his veteran soldiers and was named originally Fluentia, owing to the fact that it was built between two rivers, which was later corrupted to Florentia. It was built in the style of an army camp with the main streets, the cardo and the decumanus, intersecting at the present Piazza della Repubblica. Situated at the Via Cassia, the main route between Rome and the north, and within the fertile valley of the Arno, the settlement quickly became an important commercial centre. 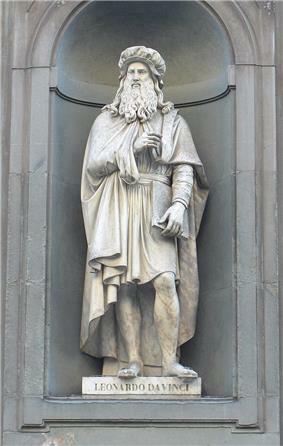 Leonardo da Vinci statue outside the Uffizi Gallery. 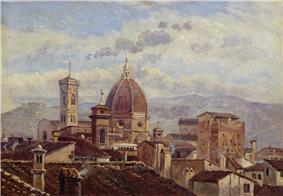 In the 15th century, Florence was among the largest cities in Europe, considered rich and economically successful. 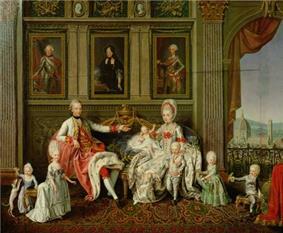 Life was not idyllic for all residents though, among whom there were great disparities in wealth. Cosimo de' Medici was the first Medici family member to essentially control the city from behind the scenes. Although the city was technically a democracy of sorts, his power came from a vast patronage network along with his alliance to the new immigrants, the gente nuova (new people). The fact that the Medici were bankers to the pope also contributed to their ascendancy. 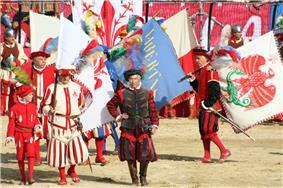 Cosimo was succeeded by his son Piero, who was, soon after, succeeded by Cosimo's grandson, Lorenzo in 1469. 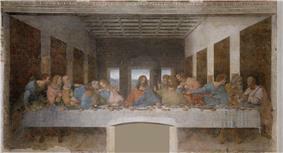 Lorenzo was a great patron of the arts, commissioning works by Michelangelo, Leonardo da Vinci and Botticelli. 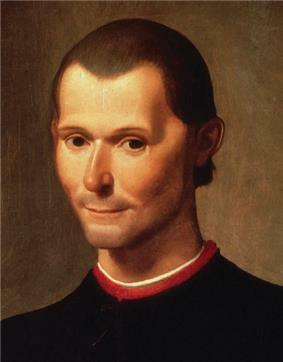 Lorenzo was an accomplished musician and brought composers and singers to Florence, including Alexander Agricola, Johannes Ghiselin, and Heinrich Isaac. By contemporary Florentines (and since), he was known as "Lorenzo the Magnificent" (Lorenzo il Magnifico). 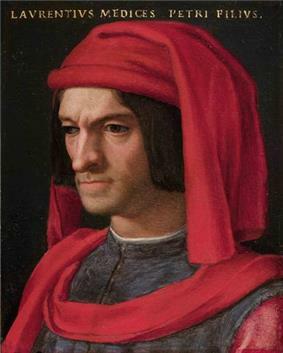 Following the death of Lorenzo de' Medici in 1492, he was succeeded by his son Piero II. When the French king Charles VIII invaded northern Italy, Piero II chose to resist his army. But when he realized the size of the French army at the gates of Pisa, he had to accept the humiliating conditions of the French king. These made the Florentines rebel and they expelled Piero II. 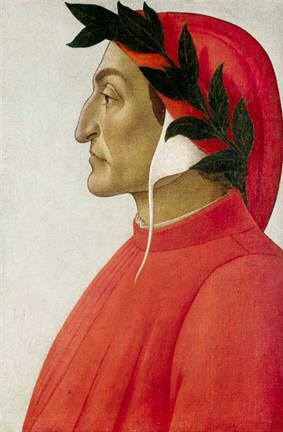 With his exile in 1494, the first period of Medici rule ended with the restoration of a republican government. At the end of World War II in Europe, in May 1945, the U.S. Army's Information and Educational Branch was ordered to establish an overseas university campus for demobilized American service men and women in Florence, Italy. The first American University for service personnel was established in June 1945 at the School of Aeronautics in Florence, Italy. Some 7,500 soldier-students were to pass through the University during its four one-month sessions (see G. I. American Universities). 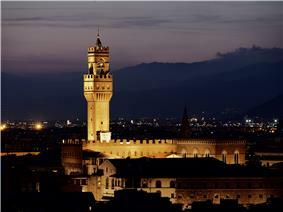 Florence has a humid subtropical climate (Cfa), slightly tending to Mediterranean (Csa). It has hot summers with moderate or light rainfall and cool, damp winters. As Florence lacks a prevailing wind, summer temperatures are higher than along the coast. Rainfall in summer is convectional, while relief rainfall dominates in the winter, with some snow. The highest officially recorded temperature was 42.6 °C (108.7 °F) on 26 July 1983 and the lowest was −23.2 °C (−9.8 °F) on 12 January 1985. Palazzo Antinori, and the Royal building of Santa Maria Novella. 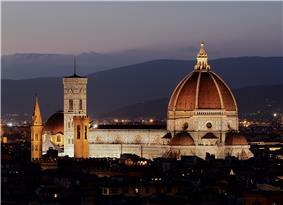 Florence contains numerous museums and art galleries where some of the world's most important works of art are held. The city is one of the best preserved Renaissance centres of art and architecture in the world and has a high concentration of art, architecture and culture. 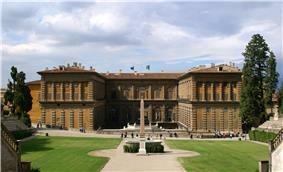 In the ranking list of the 15 most visited Italian art museums, 2/3 are represented by Florentine museums. The Uffizi is one of these; one of the most famous and important art galleries in the world, it has a very large collection of international and Florentine art. The gallery is articulated in many halls, cataloged by schools and chronological order. Engendered by the Medici family's artistic collections through the centuries, it houses works of art by various painters and artists. The Vasari Corridor is another gallery, built connecting the Palazzo Vecchio with the Pitti Palace passing by the Uffizi and over the Ponte Vecchio. 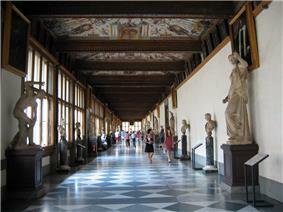 The Galleria dell' Accademia houses a Michelangelo collection, including the David. It has a collection of Russian icons and works by various artists and painters. Furthermore, other museums and galleries include the Bargello, which concentrates on sculpture works by artists including Donatello, Giambologna and Michelangelo; the Palazzo Pitti, containing part of the Medici family's former private collection. In addition to the Medici collection, the palace's galleries contain many Renaissance works, including several by Raphael and Titian, large collections of costumes, ceremonial carriages, silver, porcelain and a gallery of modern art dating from the 18th century. 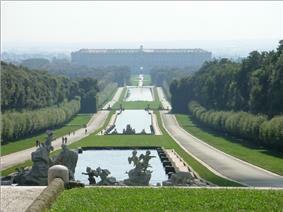 Adjoining the palace are the Boboli Gardens, elaborately landscaped and with numerous sculptures. 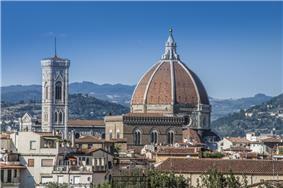 There are several different churches and religious buildings in Florence. 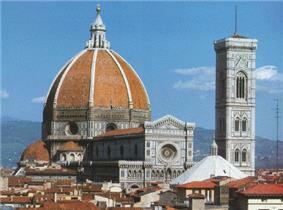 The cathedral is the Santa Maria del Fiore. The San Giovanni Baptistery is located in front of the cathedral, and is decorated by numerous artists, notably by Lorenzo Ghiberti with the Gates of Paradise. Other churches in Florence include the Basilica of Santa Maria Novella, located in Santa Maria Novella square (near the Firenze Santa Maria Novella railway station) which contains works by Masaccio, Paolo Uccello, Filippino Lippi and Domenico Ghirlandaio; the Basilica of Santa Croce, the principal Franciscan church in the city, which is situated on the Piazza di Santa Croce, about 800 metres south east of the Duomo, and is the burial place of some of the most illustrious Italians, such as Michelangelo, Galileo, Machiavelli, Foscolo, Gentile, Rossini, and Marconi, thus it is known also as the Temple of the Italian Glories (Tempio dell'Itale Glorie); the Basilica of San Lorenzo, which is one of the largest churches in the city, situated at the centre of Florence's main market district, and the burial place of all the principal members of the Medici family from Cosimo il Vecchio to Cosimo III; Santo Spirito, in the Oltrarno quarter, facing the square with the same name; Orsanmichele, whose building was constructed on the site of the kitchen garden of the monastery of San Michele, now demolished; Santissima Annunziata, a Roman Catholic basilica and the mother church of the Servite order; Ognissanti, which was founded by the lay order of the Umiliati, and is among the first examples of Baroque architecture built in the city; the Santa Maria del Carmine, in the Oltrarno district of Florence, which is the location of the Brancacci Chapel, housing outstanding Renaissance frescoes by Masaccio and Masolino da Panicale, later finished by Filippino Lippi; the Medici Chapel, in the San Lorenzo; as well as several others, including Santa Trinita, San Marco, Santa Felicita, Badia Fiorentina, San Gaetano, San Miniato al Monte, Florence Charterhouse, and Santa Maria del Carmine. The city additionally contains the Orthodox Russian church of Nativity, and the Great Synagogue of Florence, built in the 19th century. Additionally, Florence contains various theatres and cinemas. The Odeon Cinema of the Palazzo dello Strozzino is one of the oldest movie theatres in the city. Established from 1920 to 1922 in a wing of the Palazzo dello Strozzino, it used to be called the Cinema Teatro Savoia (Savoy Cinema-Theatre), yet was later called Odeon. The Teatro della Pergola, located in the centre of the city on the eponymous street, is an opera house built in the 17th century. Another theatre is the Teatro Comunale (or Teatro del Maggio Musicale Fiorentino), originally built as the open-air amphitheatre, the Politeama Fiorentino Vittorio Emanuele, which was inaugurated on 17 May 1862 with a production of Donizetti's Lucia di Lammermoor and which seated 6,000 people. There are several other theatres, such as the Saloncino Castinelli, the Teatro Puccini, the Teatro Verdi, the Teatro Goldoni and the Teatro Niccolini. 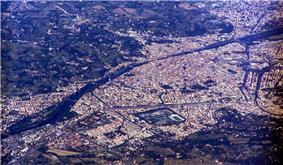 Aside from such monuments, Florence contains numerous major squares (piazze) and streets. 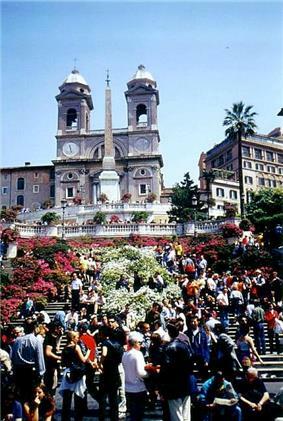 The Piazza della Repubblica is a square in the city centre, location of the cultural cafes and bourgeois palaces. Among the square's cafes (like Caffè Gilli, Paszkowski or the Hard Rock Cafè), the Giubbe Rosse cafe has long been a meeting place for artists and writers, notably those of Futurism. The Piazza Santa Croce is another; dominated by the Basilica of Santa Croce, it is a rectangular square in the centre of the city where the Calcio Fiorentino is played every year. Furthermore, there is the Piazza Santa Trinita, a square near the Arno that mark the end of the Via de' Tornabuoni street. 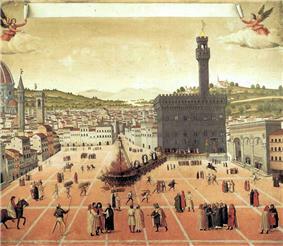 Other squares include the Piazza San Marco, the Piazza Santa Maria Novella, the Piazza Beccaria and the Piazza della Libertà. The centre additionally contains several streets. Such include the Via Camillo Cavour, one of the main roads of the northern area of the historic centre; the Via Ghibellina, one of central Florence's longest streets; the Via dei Calzaiuoli, one of most central streets of the historic centre of the which links Piazza del Duomo to Piazza della Signoria, winding parallel to via Roma and Piazza della Repubblica; the Via de' Tornabuoni, a luxurious street in the city centre that goes from Antinori square to ponte Santa Trinita, across Piazza Santa Trinita, characterised by the presence of fashion boutiques; the Viali di Circonvallazione, 6-lane boulevards surrounding the northern part of the historic centre; as well as others, such as Via Roma, Via degli Speziali, Via de' Cerretani, and the Viale dei Colli. Food and wine have long been an important staple of the economy. 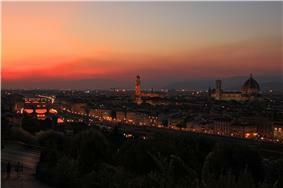 Florence is the most important city in Tuscany, one of the great wine-growing regions in the world. The Chianti region is just south of the city, and its Sangiovese grapes figure prominently not only in its Chianti Classico wines but also in many of the more recently developed Supertuscan blends. Within 32 km (20 mi) to the west is the Carmignano area, also home to flavorful sangiovese-based reds. The celebrated Chianti Rufina district, geographically and historically separated from the main Chianti region, is also few kilometres east of Florence. More recently, the Bolgheri region (about 150 km (93 mi) southwest of Florence) has become celebrated for its "Super Tuscan" reds such as Sassicaia and Ornellaia. Their works, together with those of many other generations of artists, are gathered in the several museums of the town: the Uffizi Gallery, the Palatina gallery with the paintings of the "Golden Ages", the Bargello with the sculptures of the Renaissance, the museum of San Marco with Fra Angelico's works, the Academy, the chapels of the Medicis Buonarroti's house with the sculptures of Michelangelo, the following museums: Bardini, Horne, Stibbert, Romano, Corsini, The Gallery of Modern Art, the Museo dell'Opera del Duomo, the museum of Silverware and the museum of Precious Stones. Great monuments are the landmarks of Florentine artistic culture: the Florence Baptistery with its mosaics; the Cathedral with its sculptures, the medieval churches with bands of frescoes; public as well as private palaces: Palazzo Vecchio, Palazzo Pitti, Palazzo Medici Riccardi, Palazzo Davanzati; monasteries, cloisters, refectories; the "Certosa". In the archeological museum includes documents of Etruscan civilization. In fact the city is so rich in art that some first time visitors experience the Stendhal syndrome as they encounter its art for the first time. 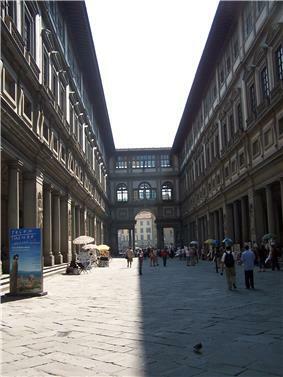 The Uffizi and the Pitti Palace are two of the most famous picture galleries in the world. 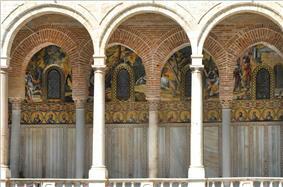 Two superb collections of sculpture are in the Bargello and the Museum of the Works of the Duomo. 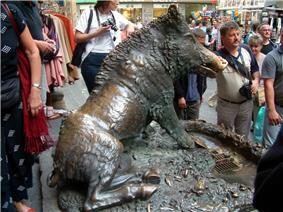 They are filled with the creations of Donatello, Verrochio, Desiderio da Settignano, Michelangelo and others. The Galleria dell'Accademia has Michelangelo's David – perhaps the most well-known work of art anywhere, plus the unfinished statues of the slaves Michelangelo created for the tomb of Pope Julius II. Other sights include the medieval city hall, the Palazzo della Signoria (also known as the Palazzo Vecchio), the Archeological Museum, the Museum of the History of Science, the Palazzo Davanzatti, the Stibbert Museum, St. Marks, the Medici Chapels, the Museum of the Works of Santa Croce, the Museum of the Cloister of Santa Maria Novella, the Zoological Museum ("La Specola"), the Bardini, and the Museo Horne. There is also a collection of works by the modern sculptor, Marino Marini, in a museum named after him. 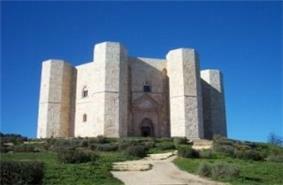 The Strozzi Palace is the site of special exhibits. Its vocabulary and pronunciation are largely identical to standard Italian, though the hard c [k] between two vowels (as in ducato) is pronounced as a subjunctive mood last commonly used in medieval times, a frequent usage in everyday speech of the modern subjunctive, and a shortened pronunciation of the definite article, [i] instead of "il". Florentines were one of the driving forces behind the Age of Discovery. Florentine bankers financed Henry the Navigator and the Portuguese explorers who pioneered the route around Africa to India and the Far East. It was a map drawn by the Florentine Paolo dal Pozzo Toscanelli, a student of Brunelleschi, that Columbus used to sell his "enterprise" to the Spanish monarchs, and which he used on his first voyage. Mercator's "Projection" is a refined version of Toscanelli's – taking into account the Americas, of which the Florentine was, obviously, ignorant. 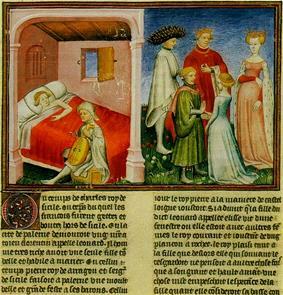 By the year 1300 Florence had become a center of textile production in Europe. Many of the rich families in Renaissance Florence were major purchasers of locally produced fine clothing, and the specialists of fashion in the economy and culture of Florence during that period is often underestimated. Florence is regarded by some as the birthplace and earliest center of the modern (post World War Two) fashion industry in Italy. The Florentine "soirées" of the early 1950s organized by Giovanni Battista Giorgini were events where several now-famous Italian designers participated in group shows and first garnered international attention. 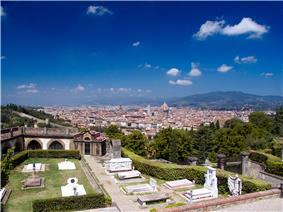 Florence has served as the home of the Italian fashion company Salvatore Ferragamo since 1928. Gucci, Roberto Cavalli, and Emilio Pucci are also headquartered in Florence. Other major players in the fashion industry such as Prada and Chanel have large offices and stores in Florence or its outskirts. Florence's main upscale shopping street is Via de' Tornabuoni, where major luxury fashion houses and jewelry labels, such as Armani and Bulgari, have their elegant boutiques. Via del Parione and Via Roma are other streets that are also well known for their high-end fashion stores. The principal public transport network within the city is run by the ATAF and Li-nea bus company, with tickets available at local tobacconists, bars and newspaper stalls. Individual tickets, or a pass called the Carta Agile with multiple rides (10, 21 or 35), may be used on ATAF&Li-nea buses, Tramvia, and 2nd class local trains but only within city railway stations. Once on the bus, tickets must be stamped (or swiped for the Carta Agile) using the machines on board, unlike train tickets which must be validated before boarding. The main bus station is next to Santa Maria Novella Siena. Florence Airport, Peretola is one of two main airports in the Tuscany region, the other being Galileo Galilei International Airport in Pisa. ^ 'Frank D'Accone, Lorenzo il Magnifico and Music', in Lorenzo il Magnifico e il suo mondo. Convegno Internazionale di Studi, Firenze, 9–13 giugno 1992, edited by Gian Carlo Garfagnini, 259–290, Istituto Nazionale di Studi sul Rinascimento. Atti di Convegni, XIX (Florence: Olschki, 1994), 260. ^ , Tramvia page of Florence's city government web site (in Italian). 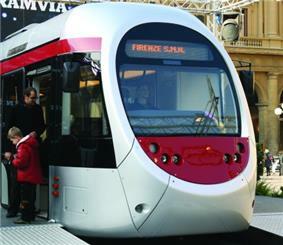 ^ Trams in Florence, WorldHeritage article "Florence tramway"